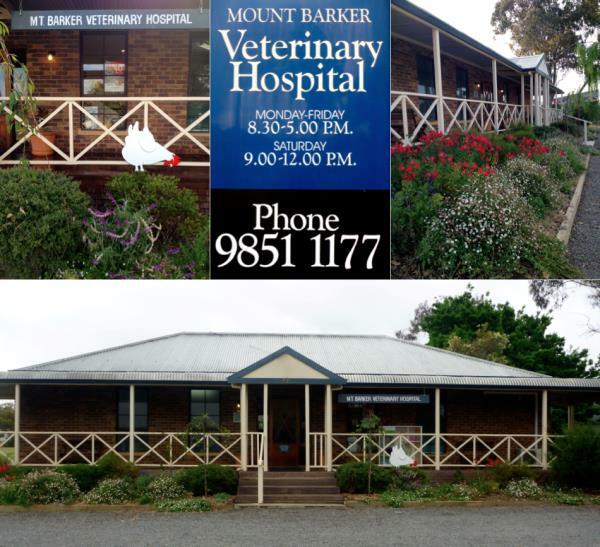 Mt Barker Veterinary Hospital is a mixed animal practice located in the Great Southern region of Western Australia. It was originally established by Don and Dianne Moir in 1978 and was the second only veterinary hospital set up in the south coast region of WA. A smaller branch clinic located in Cranbrook was begun in 1990. Mt Barker Veterinary Hospital is a very mixed practice servicing the pet population, pocket pets, the farming sector including sheep, piggeries, beef cattle and dairies, the local thoroughbred racing and breeding sector, pleasure horses, competition and sport horses, and a growing number of small farmlets. We pride ourselves on being able to provide experienced service across a broad range of species - large and small we treat them all! Mt Barker Veterinary Hospital continues to grow and now employs 11 people both fulltime and part time. We offer our clients state of the art equipment and, with our veterinarians and nurses continuing their education with specialist courses on a regular basis, upto date knowledge and treatments. Our dedicated team are always striving to ensure you and your pet have a gold standard experience. In 2013 Dr Miles Nye-Chart and his wife Deborah (part practice owners since 1991) became the sole practice owners of Mt Barker Veterinary Hospital. We’re open 5 1/2 days a week, plus our after-hours service provides you 24/7 assistance during emergencies. During working hours please call to make an appointment. For emergencies outside opening hours please contact our after-hours phone number.